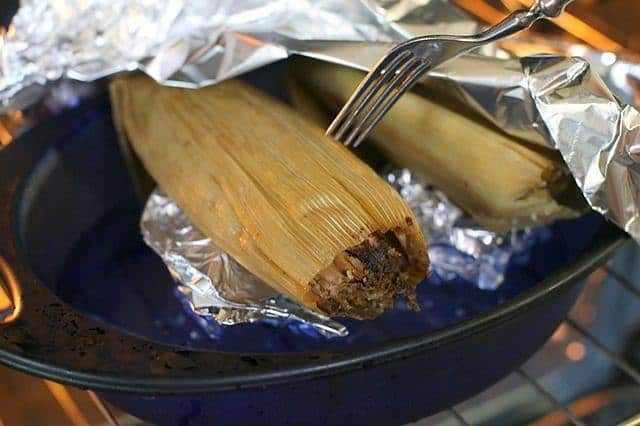 Have you ever wondered how to reheat tamales after you cooked too much for dinner the night before? I wondered about this because it really bothers me to throw away food just because I did not know how to properly reheat the leftovers. Since I enjoy preparing and eating tamales, I often cook them in a large batch. Doing this saves me time and money. Since I frequently end up with leftover tamales, I decided to look into the best methods for reheating them. After doing all of this research about cooking tamales, preparing them for storage, storing them and reheating them, I decided that I should not keep all of this information to myself. I now know how to reheat tamales so that they taste as good the next day as they did right after I cooked them. I think you will enjoy this information as well and be able to put it to good use in your own kitchen. Option #1 and #3 are so easy to follow! And I'm sure that the items needed for these options are also already in your kitchen. 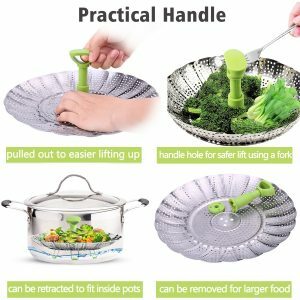 This is a cooking device that fits on top of a pot. The steamer rack has a ledge or handles that allow it to sit on the top of the pot so that you can still put the lid on top. Some steamer racks come with their own fitted lids just in case the lid that came with your pot will not fit onto the pot when the rack is put into place. Steamer rack comes along with steamer, therefore, if you are also looking for this gadget, I recommend you to buy a good steamer such as t﻿h﻿﻿is one. 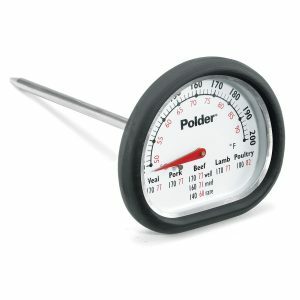 A meat thermometer is an essential part of every kitchen. 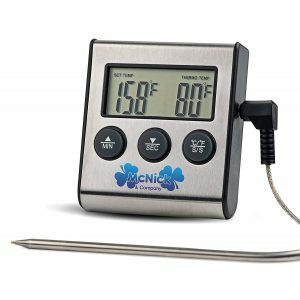 This device can be inserted into the center of meat-based foods so that you can check their internal temperatures. It is important to cook meats to the recommended temperature so that you can prevent a food-borne illness. 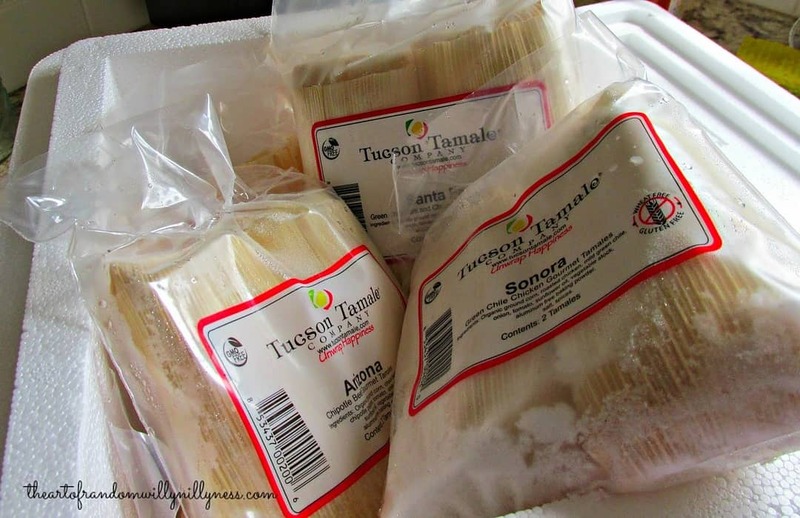 Meats, such as pork, that are used in tamales may be contaminated by parasites, viruses or bacteria, but these can be inactivated during the cooking process. If your leftover tamales are frozen, you will need to thaw them before placing them into the steamer. You may thaw the tamales in the refrigerator. This process may take up to 24 hours. As an alternative, you may thaw the tamales in the microwave using the defrost function. Set the microwave to defrost and set the timer to 60 seconds. Place a damp paper towel over the tamale. Turn the tamale over and defrost it for another 60 seconds. There should be no frozen spots left in the middle of the tamale. Wash your hands before touching the tamales. 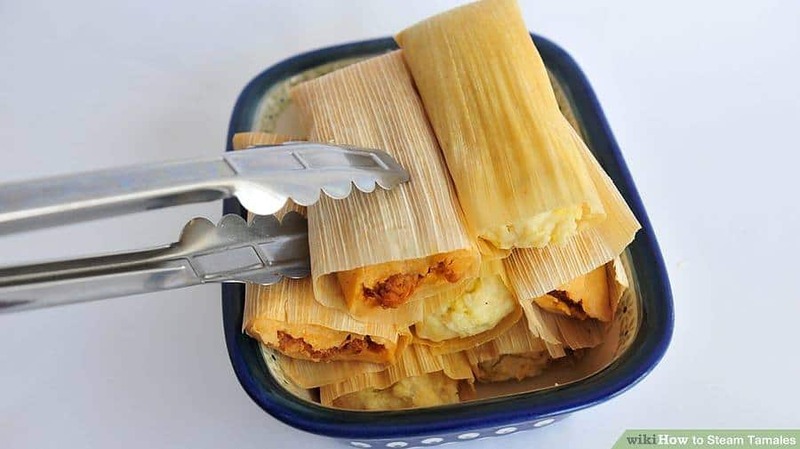 Take the tamales out of the refrigerator and remove them from the plastic wrap or aluminum foil. Do not reheat the tamales in the wrap because plastic can melt. Also, aluminum foil can catch fire in a microwave. Measure 4 cups of hot tap water and pour it into your 4-quart pot. Turn the heat on the stovetop to medium high and place the lid onto the pot. Insert the steamer rack onto the top of the pot. Wait for the water in the pot to come to a boil. Arrange the tamales onto the steamer rack, such as this one. Allow for about 1 inch of space between each of the tamales. If the tamales get too close to one another, they will not reheat evenly. Place the tamales with their open ends up. 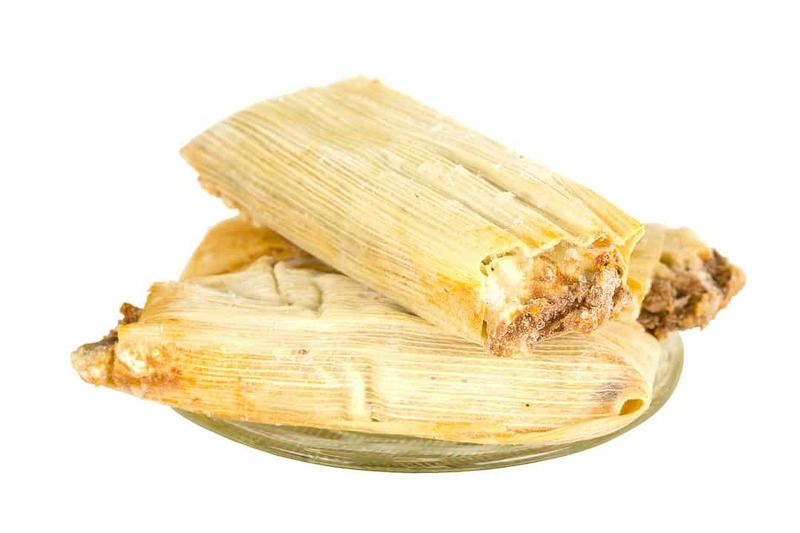 If you need to reheat more tamales that can fit onto your steamer, you will need to reheat them in separate batches. Replace the cover on the pot with the steamer rack still inside. Once the tamales are back in the pot, reduce the heat to medium. Allow the tamales to simmer. Avoid picking up the lid from the pot as this will cause a loss of the moist heat and delay the finishing time. The tamales will need about 15 minutes to be reheated. Put on your oven mitts and lift up the pot's lid. Check the internal temperature of the tamales with the meat thermometer. 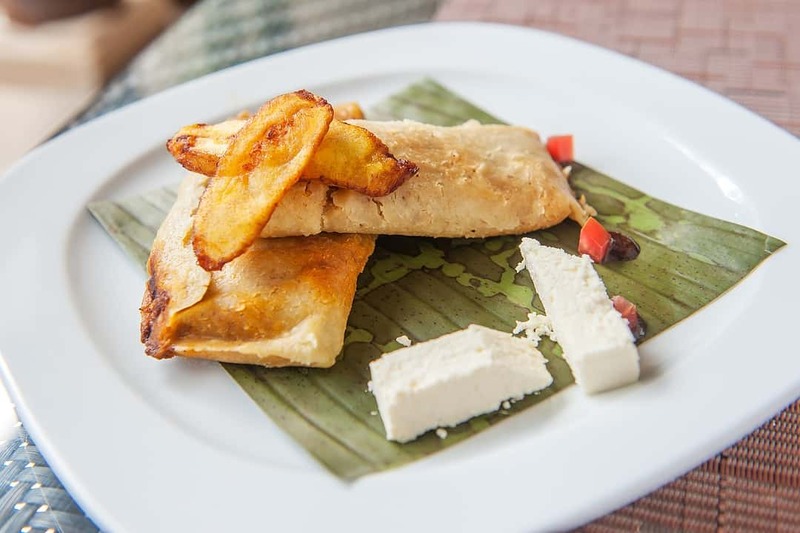 Tamales need to reach an internal temperature of at least 165 degrees F in their thickest portions. If the tamales are not yet at 165 degrees, replace the lid of the steamer and allow them to continue reheating for another 3 to 5 minutes. Check the temperature again. Turn off the stovetop and remove the lid of the pot. Use a pair of tongs or a slotted spoon to remove the tamales from the steamer rack. Place the tamales onto a warmed and clean plate. Once the tamales stop releasing steam, they will be ready to eat without burning your tongue. Alternatively, you may reheat tamales in the microwave. This should only be done with tamales that have already been thawed. I do not recommend reheating tamales in the microwave because you may end up with hot spots in the middle of them. The microwave also tends to dry out the delicate masa. When you reheat the tamales on the stovetop using the steamer method, they will taste nearly the same as they did when you cooked them the first time. I only recommend using the microwave to reheat tamales if you have no stovetop available, such as in your break room at work. A microwave-safe plate will not begin to melt when it is heated in the microwave. You can check whether or not a particular plate is safe to use in the microwave by turning the plate over and looking at the writing on the back. In general, plates made of glass are safe to use in the microwave. 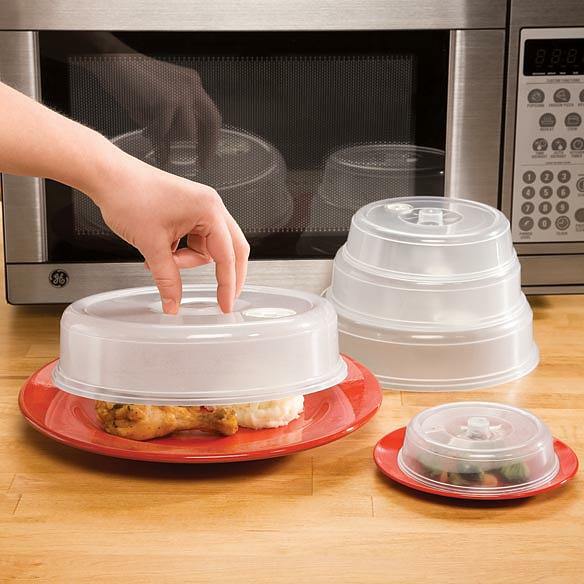 You'll want to avoid using foil, paper or foam plates to reheat any food in the microwave. You can use any type of paper towel that you prefer. A full-size paper towel will cover a plate full of tamales. If you are only heating one tamale, you may be able to use just a half sheet of a paper towel. To get the paper towel damp, use tap water from the cold water faucet. It does not take much water to get the paper towel damp enough for reheating food. Arrange the tamales on the microwave-safe dish. Make sure that the tamales are not touching each other and that there is at least 1 inch of space between each tamale. It is best to heat no more than two tamales in the microwave at once. This is to ensure that the tamales reheat thoroughly and evenly. 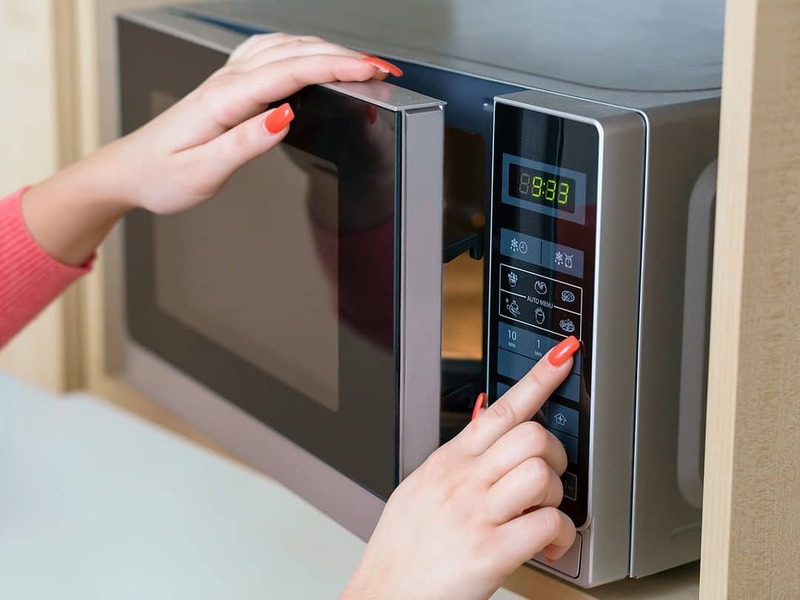 Microwaves tend to dry out food when it is reheated. In order to avoid this, dampen a paper towel with about 3 tablespoons of tap water. Place the damp paper towel on top of the tamales. 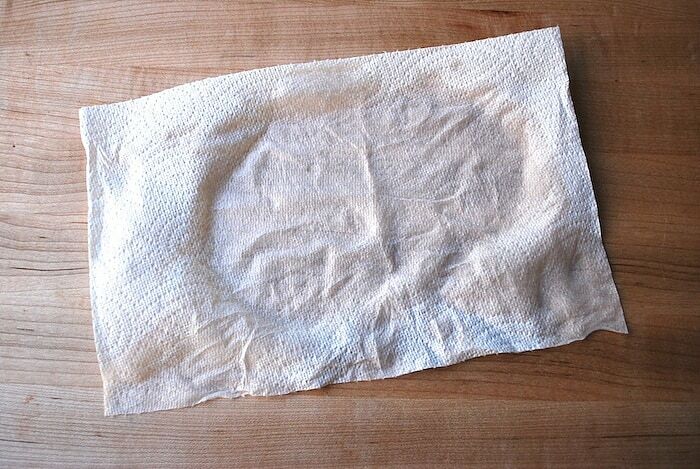 As the microwave heats, the water in the paper towel will be changed into steam. 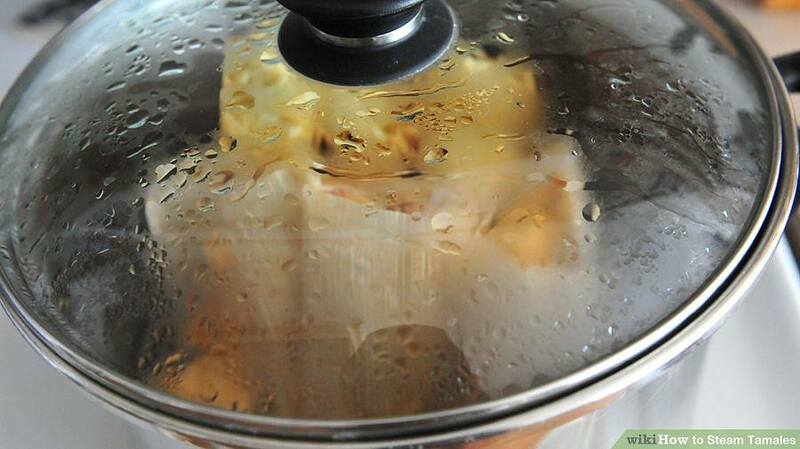 The steam will moisten the towel and preserve the flavor and texture of the tamales. Place the plate of tamales into the center of the microwave. If the microwave has a turntable, place the plate onto it. Set the microwave to full power, and set the timer to 15 seconds. 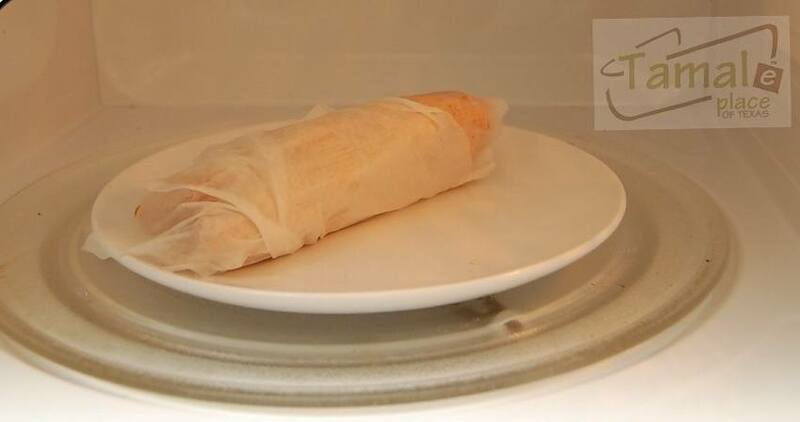 Make sure that you can see into the microwave so that you can monitor the tamales as they heat. Press the start button on the microwave. After the time runs out, open the microwave and remove the paper towel. Turn the tamales over. Dampen another paper towel, and place the newly dampened towel on top of the tamales. Set the microwave for another 15 seconds at full power. Press the power button. Open the microwave door. Put on the oven mitts as by this time the plate could be hot to the touch. Remove the damp paper towel from the top of the tamales. 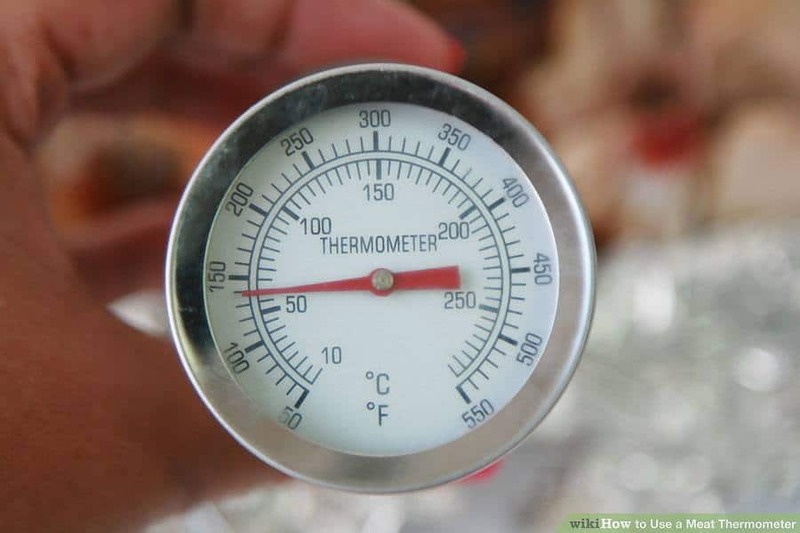 Use the meat thermometer to check the internal temperature of the tamales. If the tamales have reached 165 degrees F at their thickest point, they are ready to eat. If they are not yet hot enough, dampen another paper towel and return the tamales to the microwave for another 15 seconds. Check their internal temperature again. Run your fingers along the reheated tamales. 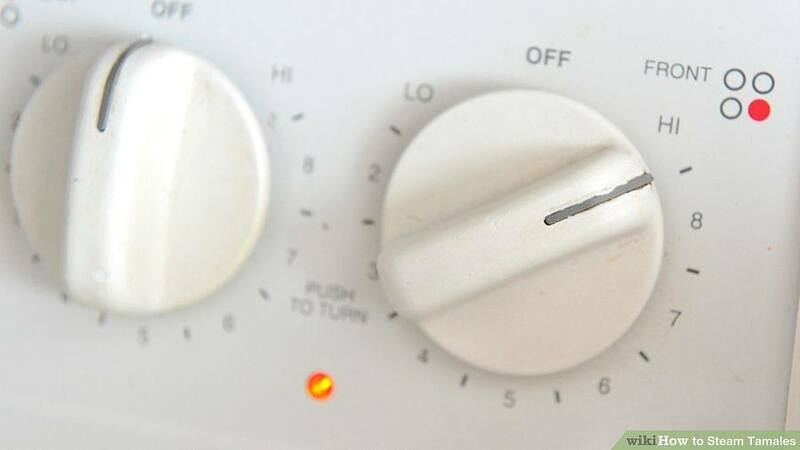 Microwaves often deliver uneven heating, which causes some areas of food to become quite hot while other areas are still cold. 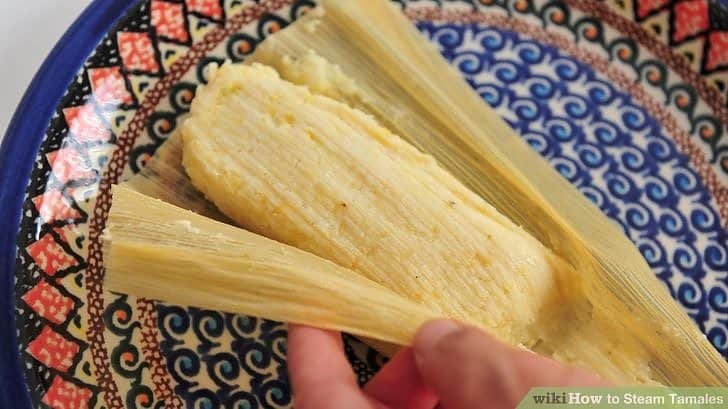 If your tamales have cold spots, consider rotating their positions on the plate and then reheating them again. You could also cut the tamales into halves to increase the surface area for more even heating. 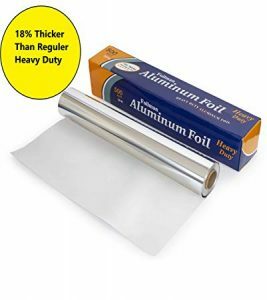 Use your favorite brand of aluminum foil. This should be plain foil and not any products that contain plastic. Tear off a piece of foil that is big enough to wrap around a tamale about two times. 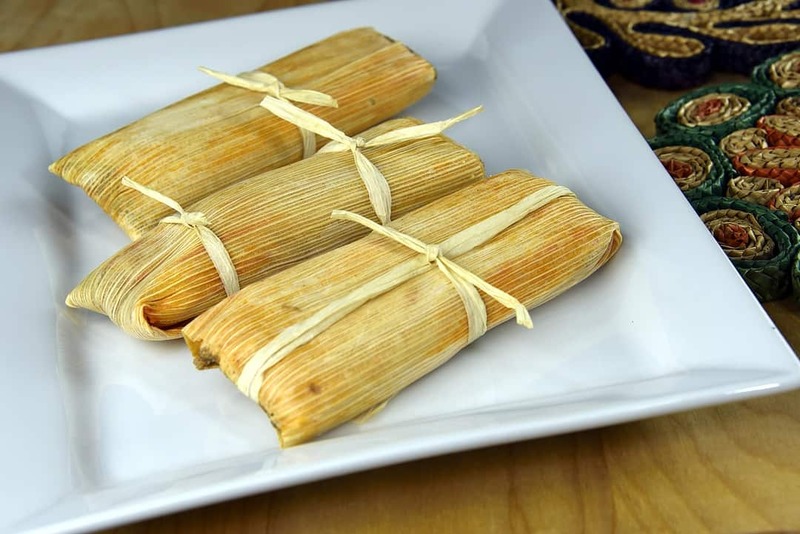 The wrapped tamales should look like foil-covered logs with their edges firmly sealed together to prevent leaks. Do not put any plastic wrap on the tamales. Plastic will melt in the oven and ruin the tamales. 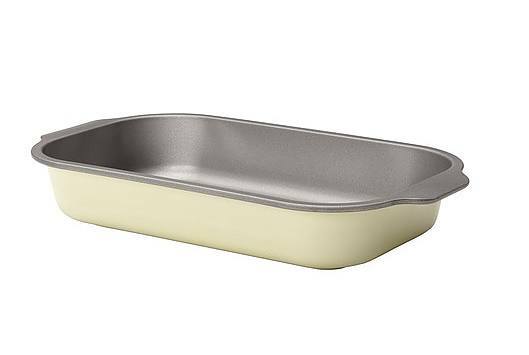 An oven-safe platter can be made of stoneware, cast iron, glass or metal. If you are using cast iron or stoneware, make sure that the platter is properly seasoned so that the tamales do not stick to it. There should only be one layer of tamales in the platter. If you need to reheat a large batch of leftover tamales, use several platters so that there can be a single layer in each platter. Tear off a piece of aluminum foil that is big enough to wrap around each tamale two or three times. Wrap up each tamale individually. Squeeze all of the air out of the foil packet and arrange the wrapped tamales in an oven-safe platter. Make sure that the tamales are not touching each other. Preheat the oven to 325 degrees F, and then allow the tamales to cook for about 20 minutes in total. Take out the platter and turn over the tamales. This is important as it will help the tamales to receive even heat throughout their fillings. Wear your oven mitts and remove the platter from the oven. Unwrap one of the tamales and insert the meat thermometer into the center of it. If the temperature is not at least 165 degrees, wrap up the tamales again and return the platter back to the oven for another five minutes. According to ﻿La Mesa Tortillas﻿, you should leave the corn husks on the tamales when reheating them with both heating methods. 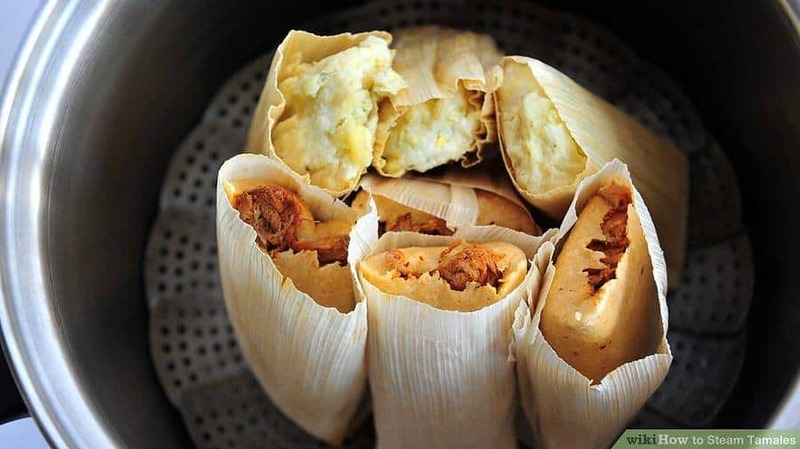 Not only does leaving the corn husks on the tamale keep the food together, but it also helps prevent the tamale filling from splattering as it reheats. The corn husks also impart flavor to the filling during the moist heating process. After you have eaten the reheated tamale, throw the corn husks away in the regular trash. They should not be composted because the tamale filling includes meat, which will rot or putrefy within a compost bin. The ﻿T﻿exas Lone Star Tamales explains that you can try to steam your tamales from a frozen state. Doing this will take five to 10 minutes longer than if you steam them from a thawed state. When the tamales are steamed in their thawed state, they may cook unevenly. The ends of the tamales will thaw first and start cooking earlier than the thicker center of the tamales. Because of this, the ends may get more dried out by the time the internal temperature of the center of the tamale finally reaches the recommended 165 degrees F.
On the L﻿iving Ma Vida Loca Latina lifestyle blog, Pattie Cordova explains that if you like a crispy texture to your reheated tamale, consider frying it. This is much like cooking the tamale all over again. If you choose to do this, you may find that the outer layer of the tamale becomes oversaturated with cooking oil. To combat this, you will need to soak up the excess vegetable oil with several paper towels. Wrap the tamale all the way around with two layers of paper towels and use firm pressure to pat the surface of the tamale. Did you enjoy learning about the methods of reheating your leftover tamales? This list of instructions was important for me to develop because I truly enjoy helping people minimize food waste and make the most of their time. A good meal should be enjoyed, and this is true for leftovers as well. It will be important for you to have a safe meal of tasty reheated leftovers so that you can feel full and satisfied during your time at home, work or school. If you are considering buying a steamer, you can take my advices from 5 Best Steamers On The Market to pick the right one for you. Handy info as we just found a local woman who sells homemade tamales by the dozen! We have one of the machines to bag and freeze with no air to freeze in small quantities. With just 2 of us here at home this is real informative. The steamer is a favorite cooking device of ours so this is extremely helpful! Here’s to happy eatibg of yummy tamales! ???? Hi Llmitch68, glad you liked the article. I sure hate seeing food go to the waste and there are days when a trick like this helps me avoid having to actually cook anything. Besides which, good food always means happy tummy, and reheating? Happy pockets!!!! Thanks for the tips! Even though we’ve been in Texas for over 8 years, this will be my first tamale experience! (I do love me some carnitas when it’s time to eat Mex or TexMex). I’m sure there will be leftovers and I want to make sure they are tasty! If I get adventurous enough, I may try my hand at actually making tamales using my near-famous pork shoulder from the pressure cooker! Hello CoachRick, glad to know you liked the article. Let me know how your tamales turns out with your pressure cooker, and what your procedure is. I am sure there are plenty of us who would like to try out other methods as well. Thanks for the feedback! I bought my tamales and they were each individually wrapped in a piece of wax paper. Should I be taking the wax paper off before I wrap in foil to reheat? 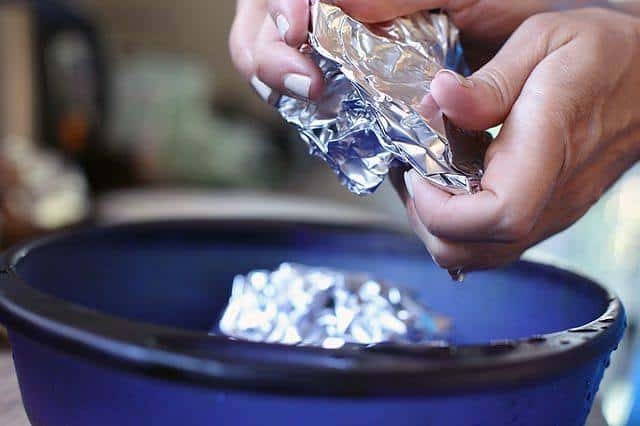 It will be better to remove the wax paper to prevent it from burning, also it may be more difficult to remove with the extra heat from the foil. Wow! Way to completely over think the reheating of a wrapped tamale. I kinda feel stupid asking actually.